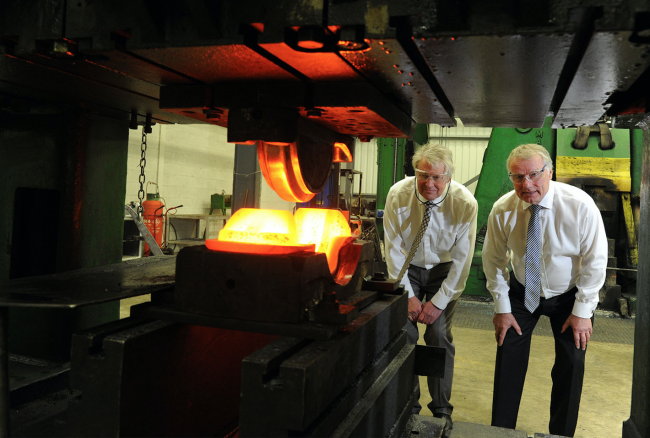 We are always striving to get better and that is typified by the £1m we spent on a new forge in Cradley Heath last year. Going forward, our next big capital investment will be in two new induction heaters and a new dispatch warehouse to improve delivery performance even further. This one is easy, I’d bring back the Manufacturing Advisory Service or MAS as it was known. It was one of the few Government programmes to ‘get industry’. In order to make it sustainable, perhaps get SMEs to invest more in some of the services it offered? We gained so much from measuring and understanding how we can make efficiencies and then putting in place a plan of improvements to make them happen. Surviving. We’ve been going for nearly 100 years and during that time we have seen some great highs and some shocking lows and recessions. The fact we are still here and competing in today’s global manufacturing world is some achievement. The best legacy for any owner is to see their company/companies continue to grow once they retire. Bit of both really. Positive in that it gives us all an opportunity, negative in that the politicians will not get off the gravy train and I don’t trust them to negotiate the best deal. 7 – What is a typical day for you? Time you wake up, get to the factory/office, go home? Wake up at 5.30am so I can be in the office by 7am. I try to get everything sorted so I can be back home by 7pm. Industry 4.0 is the application of common sense utilising technology and this is something we must embrace. However, there is a lot of it that just isn’t relevant to our business and other SMEs. Get an apprenticeship, it’s the best way to learn everything you will need to know to forge a successful career in manufacturing. Don’t make hard work of giving money away.